Motorcycle riding is an exciting, but dangerous, activity. Because riders are so exposed, collisions often result in serious or even fatal injuries. To make matters worse, many insurance companies are reluctant to fully compensate riders and may even try to deny your claim. Don’t let them get away with it. The motorcycle injury lawyers at Heintz & Becker have more than 30 years of experience fighting to make sure insurance companies live up to their end of the bargain. Our certified trial lawyers have helped countless motorcycle accident victims in Bradenton, Sarasota and throughout Florida recoup compensation for medical expenses, rehabilitation costs and pain and suffering. If you or a loved one has been seriously injured in a motorcycle or motorbike accident, contact Heintz & Becker today to schedule an appointment with one of our motorcycle accident lawyers. An experienced attorney from our firm can help you hold the negligent or reckless driver who is responsible for your injuries liable for his or her actions. The failure of other motorists to recognize motorcycles in traffic is the most common cause of motorcycle accidents. Other common factors include drunk driving, defective roadway design, poor weather conditions, defective products and the reckless conduct of other motorists. Motorcyclists are entitled to use the road as anybody else. At Heintz & Becker, we know the relevant traffic regulations and will build strong cases for injured motorcyclists. 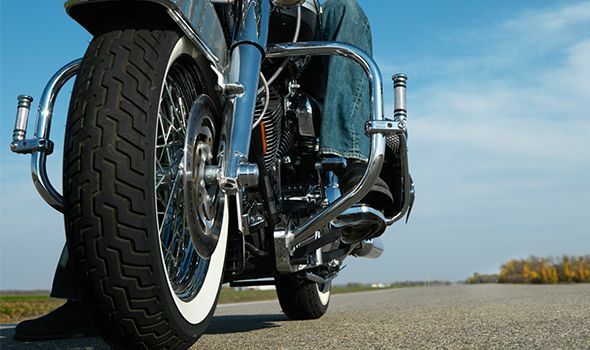 Motorcyclists often face a degree of judicial prejudice after an accident. Unlike other motor vehicle accidents, many judges and juries may assume that the motorcycle rider is to blame. Mr. Heintz has a very personal connection to motorcycle cases and is passionate about aggressively pursuing compensation for people who are injured in motorcycle accidents. If you have been involved in a motorcycle accident, you may feel overwhelmed by medical and legal concerns. But rest assured that our attorneys can help. You should contact our Bradenton and Sarasota-area attorneys as soon as possible after receiving medical attention. We can help you protect your interests while navigating the complicated claims process. If you have tragically lost a family member as a result of another motorist’s negligence, our attorneys can file a wrongful death lawsuit on behalf of you and any other eligible dependents. Our personal injury attorneys have helped many past clients and have an outstanding track record of auto accident verdicts and settlements. If you have been injured in a motorcycle accident and want help from a top-rated personal injury attorney, contact Heintz & Becker at 941-748-2916. Our Sarasota and Bradenton motorcycle accident lawyers will thoroughly investigate your case and aggressively advocate for you. There is no fee or cost until we make a recovery.